Not exactly so: Does gravel beat shadow? 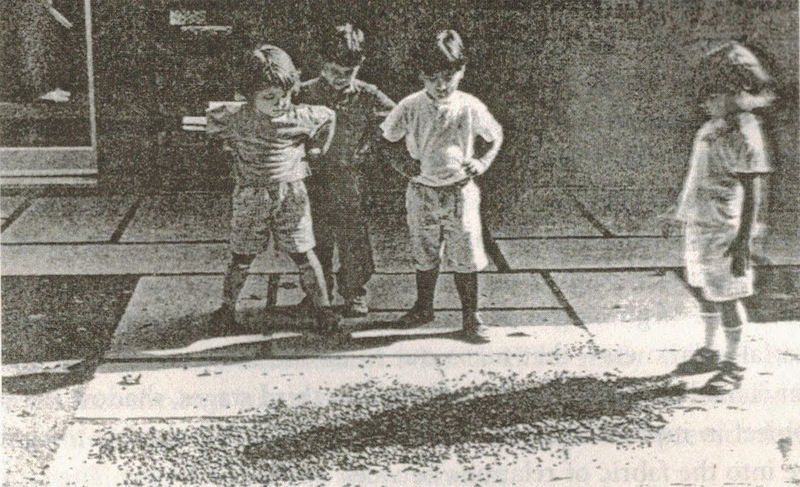 These children are puzzled by shadow: it does not disappear when they throw gravel on top of it. It reminds me of Jung, who used the term "shadow" for unconscious negative personal traits. The picture suggests that these are also hard to get rid of. Picture source: "The shadow club - the greatest mystery in the universe and the thinkers who unlocked its secrets", Roberto Casati. This article is a translation of http://nietexact.blogspot.nl/2014/10/winnen-steentjes-van-schaduw.html (October 28, 2014). Why exactly "Not exactly so"?